Are you in favor of a U.S. return to the gold standard? The recovery is slow. The Fed circulates more money. Inflation hawks call for a return to the gold standard. Who’s right? the dollar will soon devalue under massive hyperinflation (more dollars buy the same or less). However, inflation measured by the Consumer Price Index (CPI) fluctuated wildly in the days of the gold standard, last used in 1933. Since the U.S. moved to fiat dollars in 1971, there has been 23 times less variance in CPI inflation. Economists voice near universal opposition to any return of the gold standard. 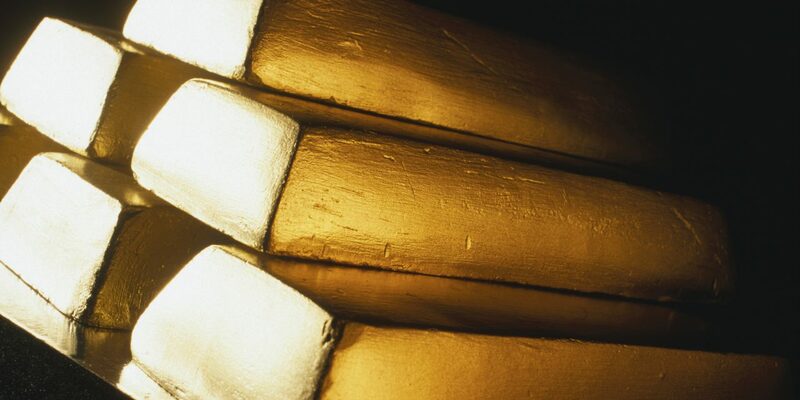 None of the world’s economies are based on a commodity such as gold. The gold standard prevents central banks from freely enacting monetary policy decisions. Thus, gold becomes scarce at a time low interest rates are necessary to get an economy rolling after a crisis, such as is the situation today. The reverse situation existed in 1980 due to runaway inflation, producing an even worse scarcity of gold. More critically, both the 1980s peak and the 2011 peaks in gold pricing were accompanied by negative real interest rates on dollar holdings, one by inflation and one by zero-bound interest rates. Without low rates to encourage borrowing and spending on investments and consumption, the economy cannot expand. Job creation stagnates, and we lose the substance driving a rise in living standards. Think the housing market is tough now? Imagine a scenario where prices are tied to a mineral. Remember, commodities are never stable markets. Think gas. When we fix the price of gold, any event that changes its inherent value will materialize as a violent price change of everything we buy. Increased demand for gold – and the resulting deflation – would result in a reverse demand for real estate. The inflation hawks have many convinced that hyperinflation is coming. It isn’t. They ignore the fact that the Fed has as much control over contracting the money supply to keep prices from rising as it does in expanding it. A commodity-based dollar – gold or oil – makes prices vulnerable to uncontrollable monetary shocks. Prices cannot be stabilized when the Fed lacks the ability to release more gold-backed notes into circulation as the economy expands and needs more currency. Consumer prices and thus, job creation, would be on a rollercoaster tied to the instability of a commodity’s inherent value. However, untethered by gold, the Fed has the power and (hopefully) the foresight to act to pull back fiat currency it has issued to shrink the economy (or restrict lending) before hyperinflation takes hold in either consumer pricing or asset pricing. The gold bug mantra causes people to deleverage and hold gold, not real estate. Returning to the gold standard is just as likely as a one trillion dollar platinum coin: it’s not going to happen. Next2013 tax landscape: a boon to California real estate? No, Steve, in fact the CPI now includes something called “hedonics”. “That new washing machine you bought did not cost you 20% more than it would have cost you last year, because you got an offsetting 20% increase in the pleasure you derive from pushing its new electronic control buttons instead of turning that old noisy dial, according to the BLS. how can a cpi variance be used when the guidlines keep changing?? The fed does NOT have the same control of reducing the dollars in circulation as it does in increasing them without creating hyper inflation.